As I mentioned in last week’s post, I’m currently doing Holly Lisle’s How to Revise Your Novel course (HTRYN). For those of you unfamiliar with HTRYN, it’s an amazing (and incredibly intense) 22 week course which guides you through the revision process. I’m loving every minute of it, which is no surprise really since it’s just like being back at school (and anyone who knows me, knows I love school). There’s lots of reading and lots of worksheets to do – my idea of heaven! Cosmetic Surgery (Lessons 18 – 22) – where you focus on all of the surface stuff, like line editing, and perfecting dialogue, description and flow. I’m nearing the end of Lesson 7 now – I should be done in two more days, and then I’ll get to move on to Lesson 8. I can’t wait! Lesson 8 is the final lesson of Triage, which means finally I’ll be able to start Major Surgery! Yay! I have to say, the hardest part about HTRYN is waiting. I only get access to one new lesson a week, so I can’t skip ahead, but I’m dying to dive in and make all the changes I want to make (I have a whole list of them – several pages worth)! If it were up to me, I’d be cutting and revising and rewriting right now! I know in this case though, patience really is virtue. I’ve never revised a novel before so I need to learn as much about the process as I can. And even though I’m spending a lot of time on the process right now, I know the next time I revise, it will only take me a fraction of the time – because everything I learn now will be firmly ensconced in my mind the next time I write. 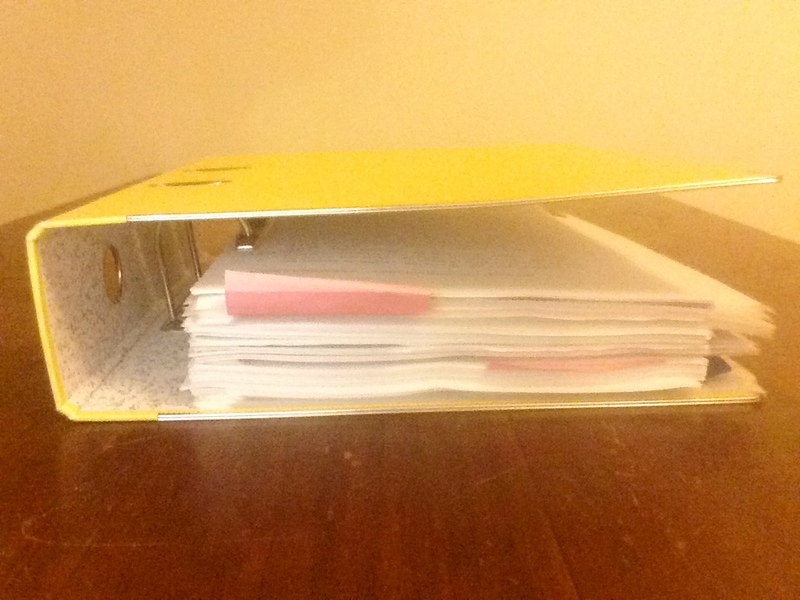 My revision notes so far – getting as big as my manuscript! I have to say though, I’m very glad I’m not a pantser – by pantser I mean the kind of writer who writes without a plan and just jumps in, letting the story guide them (ie. writes by the seat of their pants). Because I plotted my WIP in a very detailed, precise manner before I even started typing words onto the screen, my manuscript is in pretty good condition. There aren’t many superfluous scenes or storylines that go nowhere – pretty much everything in my WIP was put there for a reason. So the work I have to do during revision is not as full-on as it is for some writers who just wrote like crazy and are now left to plough through all the excess dirt to get to the gold. Pretty much what I’m doing is locating scenes and parts of scenes that need improvement and finding little unrelated things tucked here and there throughout the book that can be tied together to give the story more depth. Finding strength and power in oneself to do what you want to do, and be who you want to be – not just do what (or be who) you think everyone expects you to do (or be). This realization blew me away! I hadn’t even known it had slipped into my story yet it reflected the same struggle I’d faced when making the decision to drop law and pursue a career as a writer – a decision which, if it had been made any other way, might have resulted in the story never even having been written! It sure is funny how the subconscious works. Anyways, if I want to finish Triage, I’d better get back to it. Time waits for no one, and manuscripts certainly don’t revise themselves on their own. Everything’s live… So now what? The key catalyst for this crazy life-changing decision was my then boyfriend-of-six-months’ complete and utter belief in my ability, and his overwhelming (and maybe just a little over-the-top) enthusiasm. Ever since he laid eyes on those first four pages he has been my biggest fan, and if it wasn’t for him – as well as a harsh berating by a friend who basically told me off for whining about wanting to be a writer but not having the gumption to do what it takes (and coming up with all sorts of excuses in the meantime) – I might never have dropped my budding career in law and thrown myself into writing full-throttle. And what a mistake that would have been (trust me, the legal world is no worse off for my absence). In 2009, I finally buckled down and over the next 18 months wrote over 140,000 words (and believe me, that was no mean feat – I was a slow writer, and by slow I mean if I managed to write 500 words in a six hour writing session I was stoked). I almost had a complete book. It was very exciting, but at the same time I knew something was wrong. Everything I was reading about writing was telling me that if I wanted to be published (especially as an unknown writer) my novel needed to be (at most) 120k words and even then that would be pushing it. Plus, I had a sinking feeling that even though my writing was okay, my plot sucked big time and my main character was too passive (she seemed to be sitting on the sidelines while everyone else was having all the fun). Come up with a cool superpower for my leading lady. As for number 1, cutting the story into two parts worked well. The first third of the book was set in Scotland (before the characters took off on a tall ship to Macau where the bulk of the story took place) so I just lopped the story off there and reworked the plot so it could stand alone. So, in December 2011, I started out again with a brand new plot (which I loved) and lots of enthusiasm. 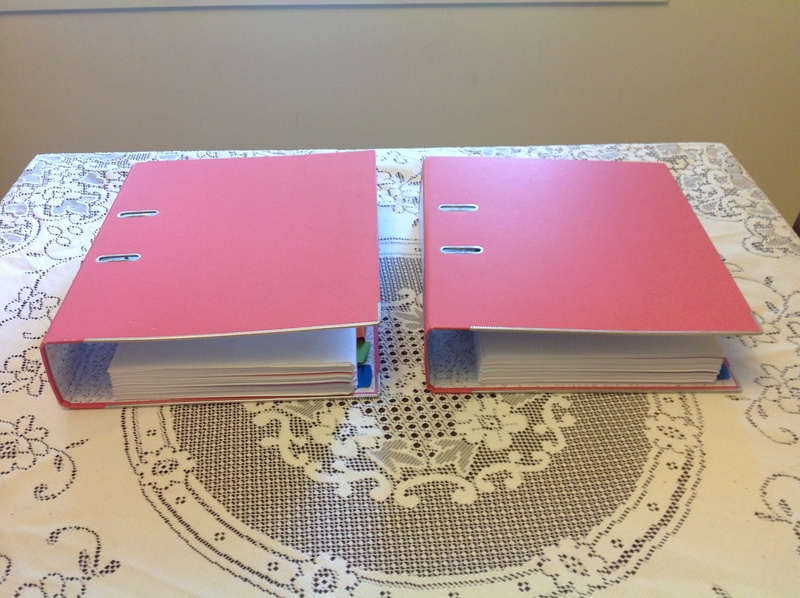 It took me a year to write the first draft and then another eight months to rewrite. My final word count was 108,555 words. I was so proud – it was probably the first time in my entire life I’d come in under a word limit. And that brings me up to today. Right now, with the help of the illustrious Holly Lisle, I am in the process of revising my 564 page manuscript (I am up to Lesson 7 (of 22) of her HTRYN course). 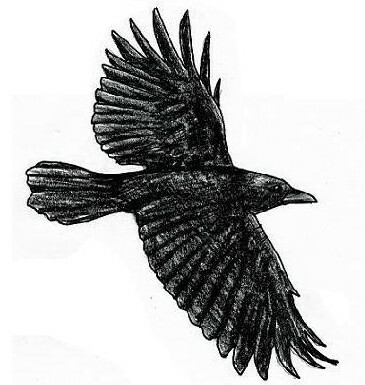 It is my plan to have a complete manuscript ready for agent query some time in 2014. I have to say I am very happy with what I’ve got and am feeling optimistic. On 7 September 2013, I had the good fortune to meet with senior agent from a Sydney-based literary agency to discuss the first 20 pages of my manuscript (for the Brisbane Writers’ Festival’s 20 pages in 20 minutes). It was the first time anyone other than my boyfriend-turned-fiancé and family had read my stuff so I was expecting her to tear my work apart. Amazingly enough she had only positive things to say! I am taking that as a good sign. I have learnt so much over the past four years of dedicated writing, and that is what I want to share with you in this blog. That, and all of the twists and turns I experience on the way to being published. I will do my best to blog once a week, although I cannot promise anything. My WIP is top priority as far as non-family focus goes. If you write, call yourself a writer. Embrace the title. You’ll find when you do, everything shifts – your priorities, your confidence, even how other people respect your writing time. Plus, it feels really awesome, and that’s always a good thing!